Anything can be a Collins, but “Vodka” and “Tom” (using Gin) are the two called for the most. Make this drink directly in the Collins glass. Fill it with ice. Put in one shot of vodka/gin. Add sweet and sour mix to 3/4 of the glass. Shake. Add club soda to the top and garnish with a cherry/orange ( ag). Many bartenders do not shake a Collins, nor do they put in the club soda. There are no laws that say you have to do either, but traditional mixology should prevail for this kind of classic drink. 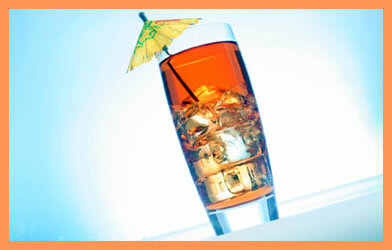 The original recipe calls for club soda, and you must always shake any drink that contains sweet and sour mix. The Collins glass is the traditional favorite for this fading but still popular bar drink, always in the top 10 in popularity. Make the drink directly in the glass if you’re making them one at a time, step by step. First, a shot of Vodka, then fill the glass with tomato juice. Then put in a dash of salt, pepper, Worcestershire sauce and Tabasco. Add a lime wheel for the garnish. Customer preference could dictate adding anyone, or all, of the following additional ingredients: celery salt, cocktail onions, A-1 sauce, cubes of cheese, beef bouillon, pepperoni, horseradish, shrimp, Angostura bitters, pepper rings, celery stalk, onion rings, lime wheel, pepperoncini, etc. When a customer appears to be “picky” about how spicy he wants the drink, give him the tabasco sauce “on the side.” Let him put in his own. In my opinion, don’t waste your time making a Bloody Mary from scratch using tomato juice and all the condiments. Horseradish or Angostura bitters could be added to the above ingredients. Or use a can of Picante Sauce in place of the same amount of tomato juice. Consider putting a kosher salt rim around the glass, like the original Bloody Mary. For a garnish, consider a couple of medium, boiled shrimp along with the lime wheel. Maybe a couple pieces of pepperoni, Swiss cheese, green pepper, a spicy asparagus stick, a beef jerky and a cocktail onion or two. How imaginative do you want to get? (1) Sacramento makes a Bloody Mary mix in a six-ounce can. It’s excellent and there is no waste because of the six-ounce can portion. Refrigeration is not required. The can sits on the shelf until it’s used. (2) Use Spicy Hot V-8 juice, also available in six-ounce cans. This makes an outstanding Bloody Mary mix. Don’t let the customer see you putting V-8 in his drink. Add it underneath the bar. Many a bartender will tell you that the most compliments received for Bloody Mary mix was not from tomato juice, but from Spicy Hot V-8 juice. If you store opened Bloody Mary mix overnight, make sure it is checked and tasted before opening the next day. Bloody Marys are popular at lunch-time. Make sure the mix is good before you get somebody sick! If the mix tastes “marginal,” throw it out! This is why the six ounce cans of tomato juice are cost effective and convenient—no spoilage! Three very good Bloody Mary Mixes I recommend are Whiskey Willy’s, Zing Zang and Kelly and Gonzalez. Purchase through your local distributor. In this part of our series on contemporary drink making, bar management expert Bob Johnson examines some of the most popular “Collins” glass drinks including the Long Island Ice Tea, the Tom Collins and everybody’s favourite hangover cure, the Bloody Mary. Collins” glasses are usually 12-16 ounces, and these glasses can be used for a variety of drinks. Here are some of the more popular drinks served in a Collins glass. This drink has been a consistent big seller in the 19 to 35 age group. It’s a “quick” drunk. Collins glass filled with ice; 1/2 shot of Vodka,Gin, Rum, and Triple Sec; Sweet and Sour mix to 4/5 of the glass; add coke to the top; shake; garnish with a lemon wedge/straw. (2) Consider using non-alcoholic Triple Sec. It’s cheaper ($3-4 per bottle) as compared to the Triple Sec that contains alcohol ($7-9 per bottle). Triple Sec is nothing more than a flavouring agent. When mixed with other liquors and ingredients, the presence of alcohol in Triple Sec is meaningless. All we care about as mixologists is the orange flavour we get from using Triple Sec. Triple Sec is the domestic substitute for Cointreau. (4) Use 7-Up (not Sprite) and cranberry juice instead of Coke and it’s now a “Long Beach Tea.” Also, if you’re measuring 1/2 ounce shots, use the small side of the jigger (3/4 oz.) and pour below the top of the jigger. Put in 1/2 shots of Vodka, Gin, Rum, Triple Sec into small side of the jigger. Or simply have your bartenders “free pour” 1/2 ounce of liquor one at a time directly into the glass. Bartenders who pick up and pour the four bottles at the same time make the drink wrong. Usually more of one liquor comes out. Great “show,” but a lousy drink. Instead, consider premixing the four liquors into a separate container along with the sweet and sour mix if you get a lot of calls for this drink. If you’re high volume, your bartenders could save valuable time by-passing the steps of picking up each of the four liquor bottles. De nightly pre-mix the liquor for the service bartenders. How to Run a Bar? Every bar is different. Popular liquors are pretty much the same from bar to bar, but how it gets to the customer—the pour, the glassware, the way it’s made and garnished, and how it’s priced—can vary. So we put the same pour spouts on all the bottles and encouraged the owners to “control the pour.” No more count system (they had four different types of spouts on the liquor bottles, each one wider or faster than the other). They agreed to a controlled pour, went with a 1¼ oz. metal jigger across the board, and made it a requirement that all bartenders measure each shot of liquor. This technique will lower their portion controlrelated losses by 3 to 5%. A “doghouse” concept was created and implemented (back-up bottles and storage area for each brand of liquor at the bar). They no longer had the operational crisis of running out of liquor at the bar on a busy night. It would never happen again. Next, we addressed glassware. The highball glass they were using was ten ounces, their shots 1¼ ounces. This was causing the bartenders to over pour each shot in order for the drink to taste right using the correct amount of mix to liquor. This adds up over time. I explained to the owners the importance of enforcing a drink recipe manual for their bartenders. No bartender should be allowed to make drinks their way. The house gives the bartenders the recipes for all drinks, how they’re to be made, and how they are priced. Bartenders should be routinely tested on the house drink recipes. Ending Inventory Count form (the physical counting of the liquor at week’s/month’s end); Usage/Cost form (gives you an Operational Pouring Cost percentage and an Actual Pouring Cost percentage number at the end of the reporting period); and an Order form (for all liquor products by vendor). Utilizing these forms creates day-to-day accountability for the liquor inventory and a way to hold the bartenders accountable for what they do. Of course, the draft beer program was out of control. They were using frozen mugs and pitchers, and they were wasting at least half a keg per brand because of the constant foam problem. We stopped that by simply lowering the temperature in their walk-in cooler to 36 degrees (from 42 degrees) and going to refrigerated glasses instead of frozen. I told them to call their beer distributor and have them install separate pressure regulators for each brand of beer so the internal keg pressure in each brand of draft will equal the amount of pressure coming from the CO2 canister, thereby reducing the amount of foam. Bartenders were taught to open the tap handle from the base of the tap handle, not the top, thereby reducing the pressure that creates foam on the pour. In doing all this, the number of kegs they had to order each week was cut in half (half!). The beer companies won’t like it, but too bad. I asked them if a beer company ever volunteered to help them out with their foam problem. Of course not! Their taco bar sells a lot of draft beer, and these changes saved big bucks. [Ed. note: See page 34 for more information on draft beer management. The owners of this bar/restaurant were very experienced with food service, but had never worked in a bar before. They had no bar skills, yet found themselves in a position of having to make serious, daily operational calls. They hired a bartender/bar manager with 12 years of experience, but his knowledge was still limited. He said he knew a lot about the business, but my conversations with him put him in the same category as so many supposed bar managers—they’re nice people, they mean well, but they don’t know a lot! And it’s not their fault. There are no schools, to my knowledge, that teach “How to run a bar.” You learn by the seat of your pants (and by reading Bar Business Magazine). You bring something with you from the last place you worked that you think will help the new place. Usually, it’s bad habits and bad theory. Not good for the old place, not so good for the new place, either! I could go on about the improvements we made for this client, like the changes in controlling every bottle of beer, wine, champagne, and energy drink, correcting the tip reporting, and numerous other human resource discrepancies, but I think you get the point. 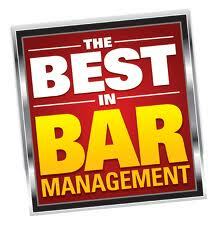 There is so much a qualified bar consultant can do to help you realize the profit potential of your business. My session with these nice people lasted about five hours. In that time I estimate I put in their pocket—if they follow through with all the changes I suggested—at least an additional $90,000-$120,000 in profit per annum, and probably more. Why hire a bar consultant? I get asked this question a lot. So I felt the best way to answer is by sharing what I experienced on my last consulting job, which took place at a Mexican restaurant/bar outside Los Angeles that was owned by a young couple who knew a lot about the restaurant business, but didn’t have a clue about the bar. They did, however, know that the majority of their profits should be coming from the bar. It wasn’t. By explaining some of my consulting procedures and techniques, you might get a better understanding of how much difference a qualified bar consultant can make in having a better-run, more profitable bar. We’re talking money here—bottom line results putting more money in the owner’s pocket. Isn’t that why you got into this business, to make as much money as possible? Everything I do as a bar consultant translates into making more money for the owner. The first thing I tell anyone using my consulting service is, “don’t take anything personally.” It’s easy to offend egos amongst so much correction and professional critique. Many people have a true passion for their rather hefty investment, and sometimes they take not knowing how to run it very personally. But it’s just business. Once on site at the Mexican bar/restaurant, I looked at the drink stations and the general arrangement of everything behind the bar. There was no standardized order or arrangement of liquor bottles at the two drink making stations. Nothing was labeled. The high-usage items were not at the bartenders’ fingertips. Motion was reduced and drinks could not be made quickly. The drink stations did not “mirror” each other. Bartenders had to cross behind or reach over each other to get certain liquors. The soda guns were in the middle of the ice bin instead of on the far left side, so the hose of the soda gun was in the way of icing glasses, making it difficult to make drinks. I suggested putting a call in to the manufacturer to get the guns reinstalled in the right place. The lack of prioritized organization here reminded me of how important it is to do an analysis of liquor usage—what sells and what doesn’t. So we analyzed POS sales reports. From that analysis we culled a “dead stock” inventory of liquor product that wasn’t selling and we placed it away from the bar and storeroom, far from the active liquor inventory. With the remaining product—the “active liquor”—we created a bottle arrangement system for both drink making stations and the back bar that made it easy to know where everything was located, then labeled every bottle location.easy to pinpoint two reasons bars go under: Lack of manage is usually created by the lack of management skills, but a Next I looked at how they were pricing their liquor “by the shot,” and discovered they were missing out on an additional 20 to 25% in gross profit because they didn’t understand how to price properly. They only had three categories—well, call, and premium. I changed that to five categories: well, call, premium, super-premium and top shelf. I estimated that correctly pricing the liquor would add an additional $30,000 to $40,000 gross profit to their business by year’s end, at their present rate of sales. I also recommended discontinuing the use of quarters behind the bar, making all drink prices even-dollar amounts. I changed the way they charged tax on each drink; we made all drink prices inclusive with tax—in other words, $4.50 for the drink, not $4.25 for the drink plus $.28 tax. I noticed the venue’s POS register system needed upgrading to better reflect actual sales. It was recording “doubles” but wasn’t identifying what liquor was being poured as a double. We called a technician and had drink prices reentered according to the new five-tier categories. Most of the recipe drinks were also incorrectly priced and were subsequently changed as well. Daunted by the pros and cons of the various accounting procedures used in today's liquor, wine and beverage industry? No need. Choose the approach that best meets the requirements of your establishment. Keep it simple. The following methods are tried and tested. 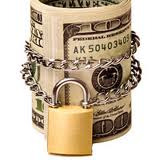 They are also known for their ability to control cash flow and to reduce overall costs. FIFO (first in, first out). 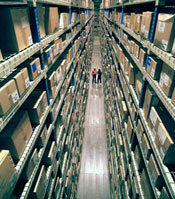 This means that items in storage are valued at the level of the most-recently purchased items. FIFO helps maximize profits by extending inventory value, particularly when inflation is high. A word of warning, though: Make sure that all profits are accurately recorded and that all drinks are rotated on a strictly first-in, first-out basis. LIFO (last in, first out). Here, the most-recent items are recorded as the first ones used. This method is useful when prices are rising, fast. Rotate stock on a FIFO basis, but make sure that the value of the inventory reflects the oldest purchase prices. If your product valuation is keenly affected by inflation, use LIFO! Actual Method. With the Actual Method, the inventory is valued at actual cost. It's a bit time consuming, unless you have a computerized system - even then, the Actual Method is probably not the best choice for reducing costs. Last Price Method. Similar to FIFO, this is one of the most commonly used accounting procedures used in the beverage industry today. It involves using the last purchase price to extend inventory value. Computerized packages. Whatever your choice of method, a good-off-the-shelf package for calculating inventory values is a must. Wastage, spillage, employee theft, oversights and inefficiency are most likely to occur in the working environment of a busy bar. 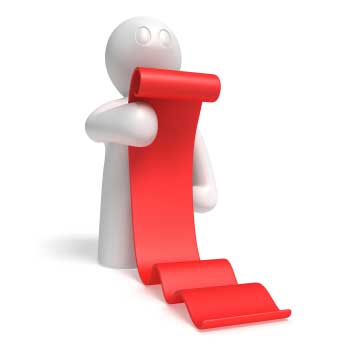 Improved management of bar inventory can make a big impact on profits. Even one bottle of liquor represents a substantial profit - or loss. Introduce a few changes behind the bar. Small adjustments can make a big difference! Security-mark bottles. Security-mark every bottle of liquor destined for the bar when it is received into the storeroom. This identifying mark, stamp or nonremovable label (placed on the bottom or side of the bottle) proves that the bottle belongs to your operation. If you are using a computer-controlled inventory system, consider using a bar-coded label for better inventory control. Unauthorized sales. Empty bottles returned without a mark indicate that bar staff may possibly be serving liquor from unauthorized bottles. It is not unknown for employees to bring in their own bottles in the hope of making a fast buck! Control cards. All inventory requisitioned by the bar must be recorded in the perpetual inventory, usually by computer. A backup card system can act as an invaluable "double check." Don't make it complicated. All you need is a date and signature against the item. Bin cards. Bin cards give you extra control over high-value items. Fix small index cards (known in the trade as bin cards) to the shelves where such items are located. Keep a careful eye on the running totals. Backup liquor. Even on a typical busy night, one bottle of premium liquor and two to six bottles of well liquor is sufficient backup. Accurate records. Distinguish clearly between unopened and opened bottles when valuing inventory. Opened bottles should be measured to the nearest tenth of a bottle, using dipsticks or by weight. End of shift. Bartenders need to record the name of each liquor, wine and beverage emptied during their shifts. They should also note the number of empty bottles and the size of the bottles. Make bartenders responsible for this activity. They will feel accountable. Manager authorization. Managers should check empty bottles against the beverage requisition form at the end of each shift. It is much easier and more cost-effective for resolving any problems immediately than letting minor queries develop into major problems at a later date. Issuing replacement stock. Either the manager or the bartender is the best person to return empty bottles and the completed requisition form to the storeroom. The person replacing the empties should check all the information on the requisition and issue replacements, bottle for bottle. Breakage. It is important to account for breakage each time the requisition form is completed. Not only does it give you tighter control over cash flow, it also helps identify potential (and costly) problem areas - sooner rather than later. Daily cost keeping. Calculate, on a daily basis, the total cost of inventory issued. This should be viewed as a separate management or administrative function. It provides an essential "cross-check." Storeroom keys. Change locks and combinations regularly. Insist that all keys remain on the premises at all times. Roll-down screens and lockable cabinets. Keep high-value inventory inaccessible to cleaning staff and other employees when the bar is closed. Limit access. Only key members of staff, such as management, receiving and storage personnel, should be allowed to enter the storeroom. It is also a good idea to limit the issuing of inventory to specific, set times. Lockable refrigerators and walk-in coolers. All storage areas should be completely lockable. Alternatively, have at least one lockable shelf for the highest-value inventory. Bar stock security. Danger zone! Keep the quantity of liquor and beverages stored behind the bar to a workable minimum. Investigate state-of-the-art locking devices. They may prove a sound long-term investment. Systems that involve combinations, codes, PINs and swipe cards are becoming increasingly popular.